The Government of Ontario, the Ministry of Education and local School Boards are responsible to students and to their parents to ensure that as much funding as possible is directed to the education needs of students. Recent provincial announcements have highlighted the need for School Boards to reduce surplus capacity. 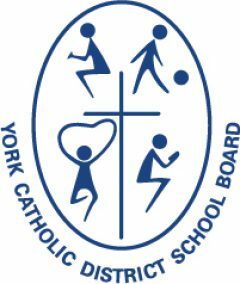 Guided by the Ministry of Education expectations, and the Board’s Multi-Year Strategic Plan, the York Catholic District School Board Long Term Accommodation Plan (LTAP) provides the framework and tools to integrate program, capital and facility renewal projects in one comprehensive approach. The collection and analysis of information is an ongoing process and therefore specific accommodation proposals will be reviewed and will involve public consultation, prior to any final decision. It is important to note that schools and students are dynamic. As a result, needs shift and change over time. In some school communities the number of students decline over time, while in other locations the number of students increase. School Boards monitor these changes across their jurisdiction. In keeping with their responsibility, Trustees and the Staff of School Boards are required to prepare for, and respond to these shifts and changes. What is a Long Term Accommodation Plan? The Long Term Accommodation Plan (LTAP) is a planning report highlighting the current and future student accommodation needs of the York Catholic District School Board. The 2019-2024 Long Term Accommodation Plan contains a number of accommodation initiatives. Accommodation planning is dynamic, and therefore the plan and specifically the accommodation initiatives contained within the plan, should be viewed as proposed solutions. The 2019-2024 Long Term Accommodation Plan is intended to be a ‘live’ document that will be monitored on an on-going basis, and amended from time to time, in order to reflect the Board’s current needs based upon the most up-to-date information and available funding. The purpose of the Long Term Accommodation Plan is to outline accommodation initiatives for the next five years (2019-2024), including background information, and to identify a timeframe based on priorities identified by the Board. The LTAP is a comprehensive planning document illustrating the utilization of current facilities, and possible accommodation initiatives to address the changing demographics within York Region with consideration of YCDSB’s planning principles. The plan includes enrolment projections, guiding principles and parameters, which the Board has developed to guide the decision-making process. What do each of the accommodation initiatives entail? The LTAP includes a number of accommodation initiatives, which range from new schools to accommodation reviews and boundary reviews, program considerations, temporary accommodations, as well as, facility partnerships. Each initiative will be guided by a process that includes opportunities for public participation and consultation. What are the next steps and how will local school communities be involved? New buildings, including additions, renovation or port-a-paks all require Ministry of Education funding and approval. Submissions supporting these requests will be made to the Ministry in accordance with their processes. Initiatives such as Boundary Changes/ Program moves and Accommodation Reviews include opportunities for community consultation. View a summary of accommodation initiatives planned throughout the next five years. School communities listed in the summary will receive timely and detailed information at the onset of the accommodation process. What are the 6 types of Initiatives Proposed? In a number of YCDSB communities, schools are, or will be facing future enrolment pressures. The 2019-2024 LTAP identifies a number of new schools and additions to provide additional accommodation where those needs are sustainable over the long term. In some situations where the enrolment pressures are temporary, (generally a minimum of 7 years), permanent accommodation may not be suitable, in which case, a Port-a-Pak may be considered to address this need. From time to time in an effort to ensure appropriate accommodation and use of available resources, boundary changes or program moves are investigated. These initiatives follow a prescribed process involving various staff and opportunities for public consultation prior to a final recommendation to the Board of Trustees. Where a viable school is operating with a surplus capacity, it may be appropriate to investigate community partnerships to offset operating costs of the facility. A review of a school or group of schools where accommodation issues have been identified. Such accommodation issues may arise from enrolment pressures, excess surplus space, building condition concerns, program changes or changing demographics. Accommodation reviews follow a Board approved policy and process, including public consultation. How does the LTAP align with the Board’s Multi-Year Strategic Plan? Download a PDF version of the Draft 2019-2024 Long Term Accommodation Plan. Additional information including supporting Ministry documents, Board Policies, and details for each accommodation initiative at the onset of the accommodation process are also available on this website.